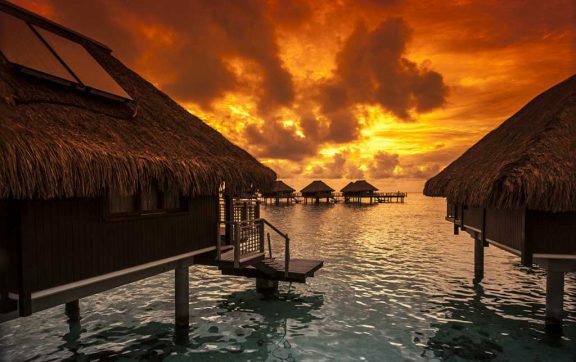 A vision of sun and sand emerging from the middle of the southern Pacific Ocean, Tahiti is a truly magical island paradise. With a collection of truly luxurious resorts nestled amongst majestic coral reefs, clear turquoise lagoons, white sandy beaches and ruggedly beautiful mountains, there is no other destination on Earth more like heaven. 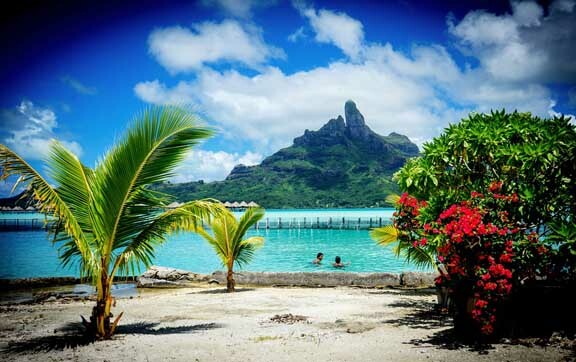 A little over an hour flight from the main island, Bora Bora boasts the most famous reputation of all of the Tahitian isles, seducing honeymooners, romantics, adventurers and normal vacationers alike. It is truly an artist’s take on paradise beneath the piercing silhouette of Mount Otemanu, with perfect white sandy beaches giving way to either a sea of emerald jungle or a body of perfect sapphire water. The South Seas island is only a thirty minute boat ride from the capital island and explodes out of the clear Pacific waters as a vision of colour and life. You will feel renewed by the majesty of nature and culture that abounds on the island of Moorea. From the pastel-painted houses of the locals to the halo of beautiful gardens that circle the island and the necklace of perfect sandy beaches. This truly is an example of Polynesian perfection. A unique 5-star resort and a part of the Relais and Chateaux collection. Welcome to the ultimate Tahitian hideaway.